Divergent, the electrifying first installment of the blockbuster action adventure franchise, on Digital HD Tuesday (July 22), draws fans deeper into the world of Tris and Four with Lionsgate’s official Divergent app, an innovative experience bringing fans even closer to the action. 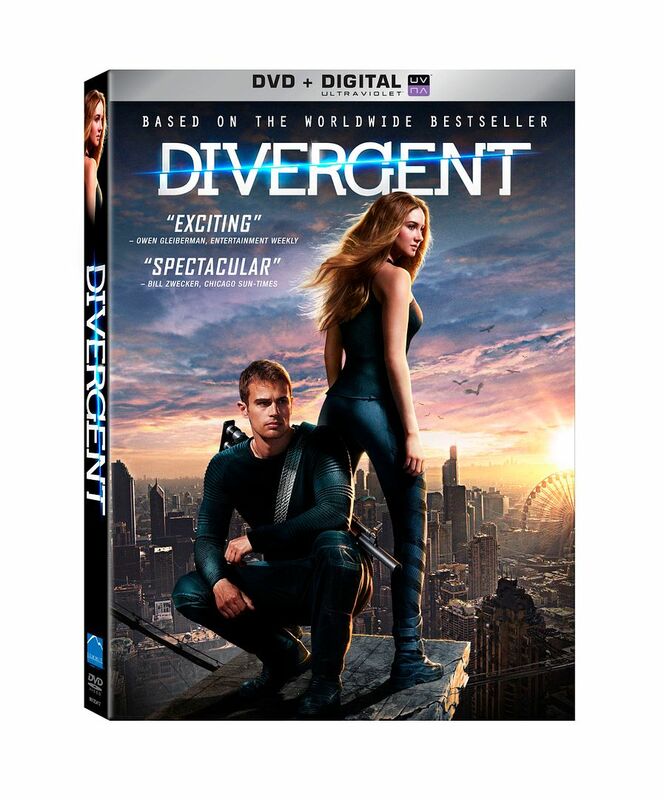 • Making Divergent – See key scenes from the movie come together as if you were on the Chicago set, as cameras unveil the action from multiple angles while the film’s cast and crew narrate the action. All-Access Movie Premiere Pass – Walk the “black” carpet with Divergent’s cast and crew, as 360-degree cameras allow fans to rub virtual elbows with Shailene Woodley, Theo James, Kate Winslet and more at the film’s Los Angeles premiere. Factions in the Real World – Experience the world of Divergent in real life as experts show what it takes to belong in Dauntless, Abnegation, Erudite, Candor and Amity in our modern day world. Marketing Archives – A comprehensive gallery of video and still imagery from the set and the film’s marketing campaign. Dauntless Fear Simulator – Like Tris and Four, fans can conquer their fears head-on with this virtual reality, surround sound adventure. Created with actual post-production audio effects from Divergent and DTS “Headphone: X” technology, fans can use any brand or type of headphones for this unique audial experience. Interactive Fashion Look Book – Delve into the style of Divergent via a carousel of featured costumes, along with original online photo albums and videos created specifically for the app. Bringing Divergent to Life – View the in-depth story of the making of the film with cast and crew in this seven-part documentary. • Combined, the Divergent app’s free features and Xfinity premium experience comes to over seven hours of interactive content. • The app will continue offering fans first-looks and exclusives for the entire trajectory of the franchise. Beginning with the next series installment, Insurgent, opening worldwide on March 20, 2015, the app will debut content from the theatrical release through the home entertainment window, offering fans a one-stop destination for Divergent news and content. Based on Veronica Roth’s #1 New York Times best-selling book series which has sold nearly 22 million copies worldwide, Divergent features an all-star cast including Shailene Woodley, Theo James, Academy Award® winner Kate Winslet and Ashley Judd. To date, the film has grossed over $150 million at the domestic box office and nearly $275 million worldwide in its theatrical release on Lionsgate’s Summit Entertainment label, getting the ‎new franchise off to a fast start. The next three installments — Insurgent and Allegiant Parts 1 & 2 — will be released theatrically on March 20, 2015, March 18, 2016 and March 24, 2017, respectively. Divergent stars Shailene Woodley (The Fault in Our Stars), Theo James (Underworld: Awakening), Ashley Judd (Double Jeopardy), Jai Courtney (A Good Day to Die Hard), Ray Stevenson (Thor), Zoё Kravitz (X-Men: First Class), Miles Teller (The Spectacular Now), Tony Goldwyn (TV’s “Scandal”), Ansel Elgort (The Fault in Our Stars), Maggie Q (TV’s “Nikita”), Mekhi Phifer (ShowTime’s “House of Lies”) and Academy Award® winner Kate Winslet (Best Actress, The Reader, 2008). The film is directed by Neil Burger (The Illusionist, Limitless) from a screenplay by Evan Daugherty (Snow White and the Huntsman) and Vanessa Taylor (HBO’s “Game of Thrones”). Download the app, Initiates and make sure you let us know what you think!